current playlist, 8th february 2017 | A Motley Miscellany of Oddities, Buffoonery, Criticism & c.
Diamanda Galás and John Paul Jones – The Sporting Life (Mute, 1994) – I always find it surprising that a vocalist as completely extreme and melodramatic as Diamanda Galás can be as straightforwardly moving as she (sometimes) is – pretty pop by her standards, but a great album, with John Paul Jones creating perfect settings for that amazing voice. 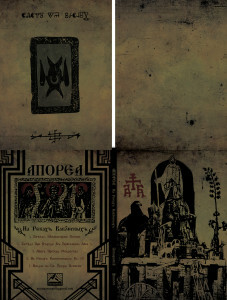 Apokrifna Realnost – Na Rekah Vavilonskih (AnnapurnA Productions, coming March 2017) – I would never have expected to love an album of archaic ritualistic/devotional music clandestinely recorded in Macedonia in the late 80s; but there you have it. It’s unsettling & deeply beautiful. Teksti-TV 666 – 1, 2, 3 (Svart Records, 2016) The Finnish guitar-overlords are credited with playing a weird amalgam of punk, rock, shoegaze, krautrock etc; and I suppose they do, but the songs on this album are, underneath the noise and strangeness, pretty catchy indie rock that I wouldn’t expect to like but really do – it’s a great album. Sauron – The Baltic Fog (Wheelwright Productions, reissue 2017) – I wrote at length about this great Polish black metal release for Echoes and Dust, so won’t say much here. But it has all the atmosphere you’d expect from mid-90s black metal and some good tunes. Blake Babies – Innocence & Experience (Mammoth Records, 1993) – On the whole I prefer Juliana Hatfield solo, but this compilation of the Blake Babies is pretty great. David Bowie – Station to Station (RCA, 1975) – One of my favourite albums, this just seems to get better and better. Even if it just consisted of the supremely creepy title track & Word on a Wing it would be one of the best things Bowie ever recorded. 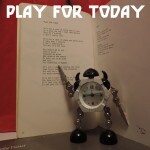 Makaya McCraven – In The Moment Deluxe Edition (International Anthem, 2016) – There’s so much amazing music in the 28 tracks here, plus literally some of the best drumming I’ve ever heard; superlative, brilliant jazz. Tom Waits – The Heart of Saturday Night (Asylum, 1974) – Unsettling times sometimes call for comforting music, and this warm, funny, poetic and melancholy album is one of my favourites. 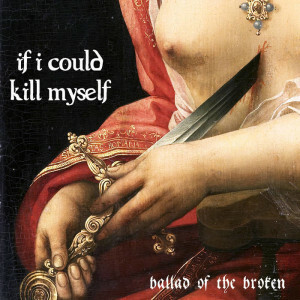 If I Could Kill Myself – Ballads of the Broken (self-release, 2017) – If you are unconvinced by (or just despise) depressive black metal this will probably not change your mind. 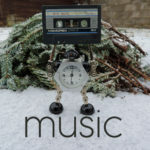 Lo-fi, raw and revelling in the miserable characteristics of the genre, it’s not (and I assume isn’t meant to be) subtle, but has atmosphere and good tunes aplenty.